Brand new model, offered for sale or for planning your new home on the one lot left at "St. Louis Corner" ! 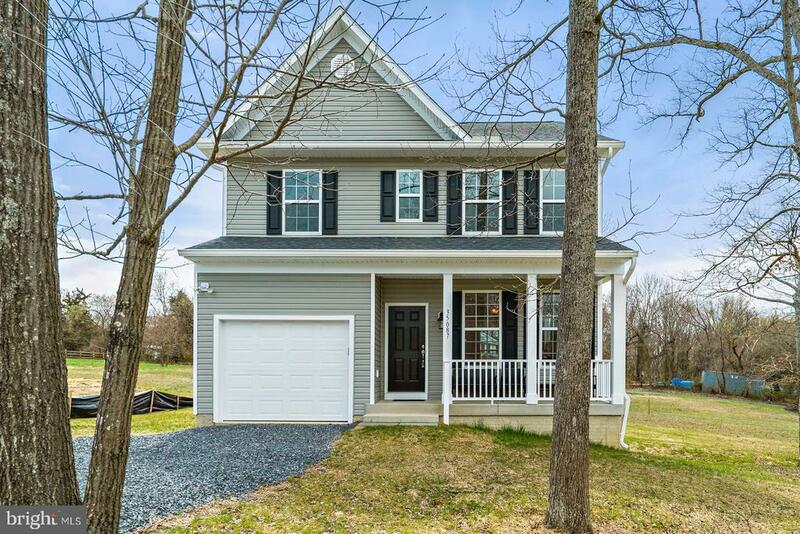 There are 6 floor plans to choose from, this model offers two story living w/ a full unfinished walkout basement, that is plumbed for a full bath. This 3 bedroom 2.5 bath home is on a corner lot w/ trees offers views of the Blue Ridge Mountains. One car garage & more Please come to see. A water treatment system has been added to the list of amenities. Directions: From Middleburg, west on Rt 50 to Right on to St Louis Rd (RT611). To left on to Snake Hill Rd. to house on the left at the corner of Snake hill and Newlin Mill Rd.